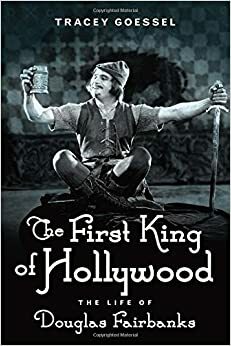 Reading Tracey Goessel’s comprehensive biography on Douglas Fairbanks, The First King of Hollywood, reminded me of Scott Eyman’s wonderful book on John Wayne; both books initially put me off only to pull me in towards learning a great deal about an actor I previously knew nothing about. At an impressive 560 pages, Goessel puts us on a breathless, action packed journey charting an actor’s larger than life personality broken and brought down by changing times and age’s cruel inevitability. 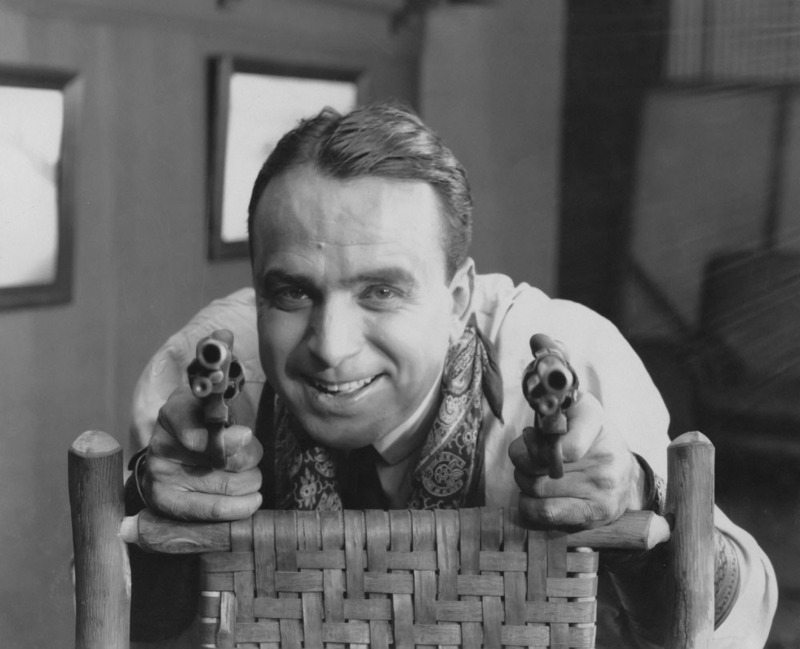 Those with a bare modicum of classic film knowledge recognize Douglas Fairbanks as the athletic swashbuckler of silent cinema, famously married to Mary Pickford with a house they house dubbed “Pickfair.” The First King of Hollywood examines, and in many cases contradicts, preconceived notions about the star who had a penchant for turning “trifling facts into glorious myths.” In fact, much of Goessel’s research and revelations come from turning old stories on their head, such as the assertions that Fairbanks seduced or gave jobs to many of his leading ladies. Described as “a blend of the wild and the civilized” who “started from the top and went up from there,” Fairbanks’ meteoric rise to fame could only have happened in the early days of Hollywood. Fairbanks spent years toiling on the stage, honing and playing against the persona he made famous. In fact, the first production he ever starred in, Her Lord and Master, saw him losing the girl; “the loser, perhaps – but ever the gallant.” By the time Fairbanks was ensconced in Hollywood, Goessel says, it was difficult to find out where the man ended and the actor began. 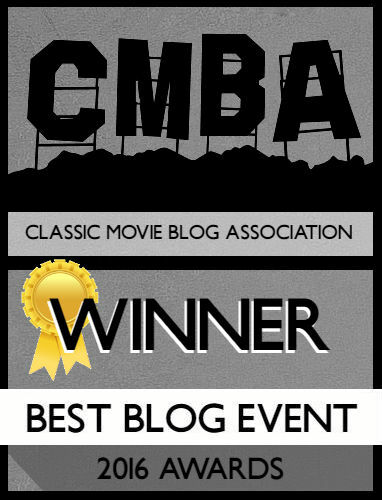 Early reviews of his work showcase him as a cocky young man in love with adoration, best exemplified in his relationship with Pickford. Pickford and Fairbanks’ love endured for so long, not simply out of their mad love for each other, although that’s evident, but also through their mutual business acumen. “They were a living proof of America’s chronic belief in happy endings.” Much like Fairbanks, Pickford honed a particular persona, and much of their back and forth over their divorce swirled around the story told to the press, and who would look better in it. Goessel makes no bones about citing Pickford’s bold tweaking of the media to come off looking like the scorned wife, despite the fact both her and Fairbanks had respective lovers on the side. The eventual downward trajectory of Fairbanks’ career is dealt with tact and the contextual knowledge that he was unable to change and deal with the times. Talkies’ advent didn’t immediately doom him; he was simply unable to cope with the fact that his body, which had been the canvas for his work, was failing him due to age. “He wanted to be liked, no, loved by everybody,” and when the audiences weren’t responding, it broke him. Goessel’s biography enters the pantheon of comprehensive, expertly written tomes that inspires audiences towards seeking out the subject’s work. If Goessel doesn’t convince you that Fairbanks truly was “the first king of Hollywood,” nothing will. With immersive passages, beautifully written prose, and a genuine affection for the subject, this set 2016 in a pretty great direction!